Bottlenose dolphins are frequently seen during dolphin watching cruises in New Zealand. 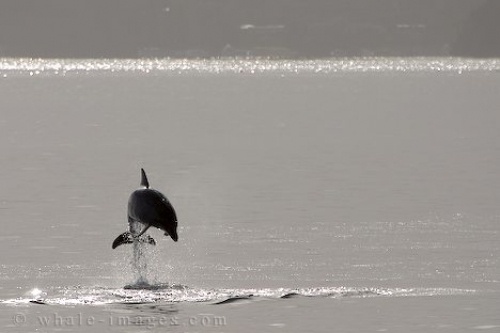 The high noon light on a fine day in the Bay of Islands make the waters appear metallic silver as an enthusiastic Bottlenose Dolphin jumps out of the water. A sensational activity to engage in while in the Bay of Islands is a dolphin watching cruise and perhaps a swim with the Dolphins. Picture of a Bottlenose Dolphin jumping out of the water in the Bay of Islands, North Island, New Zealand.